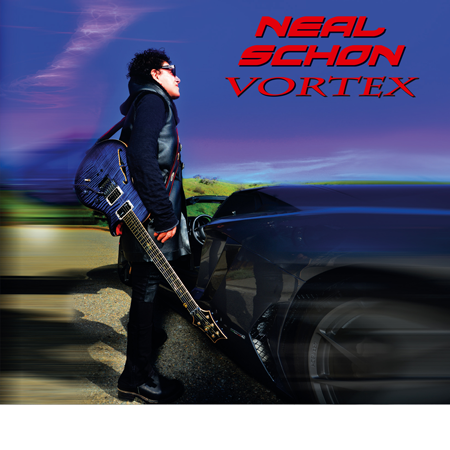 Legendary guitar hero Neal Schon’s daring all-instrumental album Vortex sets a new creative bar for rock-based six-string. But rock is just the foundation of Schon’s playing on this fast-paced 18-song magnum opus. His eclectic scope also embraces jazz, classical and world music in Vortex’s stunning, sonically explosive collection of original compositions. The release is dedicated to Schon's best friend and wife, who serves as his true inspiration every day. Both "Lady M" and "Triumph of Love" were written for her, the latter of which he performed at their wedding on December 15, 2013.